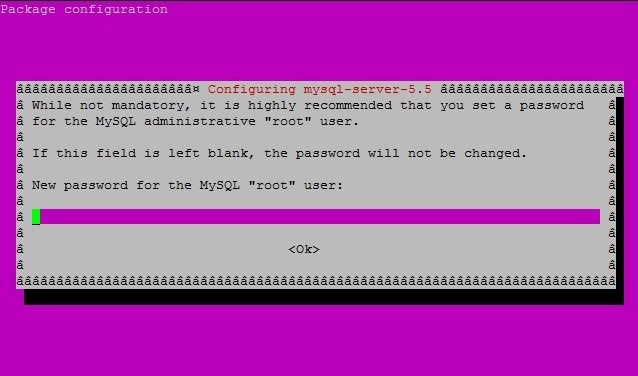 To recover or reset MySQL root password in Ubuntu, you should simply follow some steps. This process may vary according to the operating system. Ubuntu offerts a possibility to restore the root password via dpkg, which is a native package management system. It will prompt for the new password, just like in the new installation of MySQL. You must type the new password in this screen. To change an user password, you must have the current MySQL root password. You should follow these steps we will explain. In these examples we will use localhost , for local users connecting from the same server. If the user is authorized to connect remotely, we would have to replace it with its IP address. If you happen to use root from an external host or IP, you should reset mysql root password manually. Just change [user-name] by root and specify the IP address authorized for the root user. This tutorial applies either for a cheap dedicated server with Ubuntu, or for a vps hosting Ubuntu server.